Students from international partner countries acquire intercultural and professional competences at the University of Stuttgart by completing a research project during a two- to three-month study visit at a host institute during their semester break. In addition to research projects at the host institute, students also have the opportunity to become acquainted with other university institutes. The Stuttgart University Program for Experiencing Research (SUPER) is a contribution to internationalisation of the university. Südstadtkids (“South City Kids”) is a facility for children and youths in Heilbronn that is based on the concept of social geography. In the southern district of Heilbronn a large number of children and youths spend much time in public places and grow up with no community socialisation. A house that offers religious, cultural and career-oriented programmes provides additional space for children and youths who live mostly in cramped conditions. The care of family members or the care of children can create a heavy burden for young people if financial need makes it necessary for them to take on sideline jobs. Gifted students in special life situations are supported with a stipend from funds of the Christian Bürkert Stiftung, which helps them to successfully complete their studies in spite of the many challenges. The Academic Choir and Academic Orchestra of Stuttgart University provides a framework for students to participate in high-level music making. The Academic Choir and Academic Orchestra alternate every year in taking a trip abroad to perform important orchestral and choral works of major composers. In a one-year special vocational school youths and young adults who have not completed compulsory secondary schooling can acquire basic vocational skills in comprehensive instruction for a field of work. The special education requirement for support of the school students is especially important at the Susanne Finkbeiner School. To support study abroad the Christian Bürkert Stiftung grants several stipends to students of the University of Heilbronn every year. The students apply to the university for these stipends. Students of technology at the DHBW Mosbach can receive a stipend for study abroad at partner colleges and universities in the USA, Mexico and Wales. The students apply to the academy for these stipends. 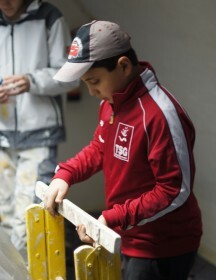 In 2008, the Christian Bürkert Stiftung supported the expansion of the Hälden Kindergarten in Ingelfingen, enabling a realignment of the care offered and the introduction of all-day care for children aged two and above. 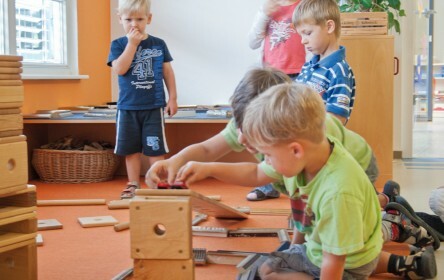 The expansion of the kindergarten included the creation of functional areas such as a studio and an experiment corner, which allows the children to choose and plan their activities themselves during free play, corresponding to their interests. The open architecture of the building provides plenty of room for romping, playing and learning. The Nikolauskirche in Ingelfingen is a meeting place for the citizens of lngelfingen for church services, concerts and lectures. It is also a landmark of the city. 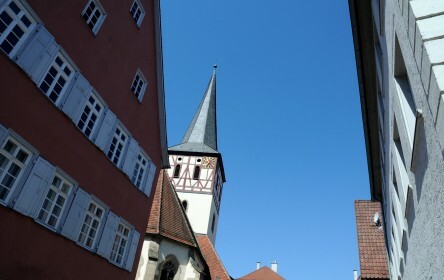 The costly restoration of the church tower in 2013 was substantially supported by the Christian Bürkert Stiftung. For the lonely, helpless, aged and for everyone who seeks social interaction, the Leonhardskirche in Stuttgart opens its doors for seven weeks between January and March with the “Vesperkirche” program. 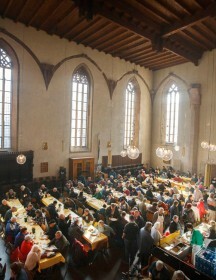 The open church offers a hot lunch. Those who have spent a night outdoors receive blankets and can sleep on the pews. Deacons are available for anyone who needs advice or someone to talk to. In the late afternoon the Vesperkirche closes with a prayer service. In cooperation between the District Welfare Office, the Protestant parish and the Paul Wilhelm von Keppler Foundation, a weekly “Lunch Together” is offered. The goal is to combat poverty and loneliness, to maintain social contacts and establish new ones. The Christian Bürkert Stiftung provides financial support for this cross-generation program. For two weeks every winter the place of worship in the old town centre of Öhringen offers warmth for the body and soul. Here people can have an inexpensive lunch, experience a sense of community and receive spiritual impetus for their lives. The Christian Bürkert Stiftung sustainably supports this work.